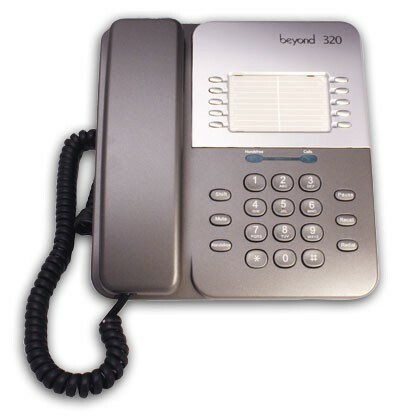 The Beyond 320 telephone is an entry-level handset with 20 names and number directory, last number redial and a headset socket. Ergonomics are enhanced with message waiting indicator, long tangle free handset cord and extra weight in the handset. A choice of High, Low, Off Ringer select and a switchable ELR/ TBR: 100m second/earth break complete this competitive business package.